Remember when we learned that KStew planned to star in a contemporary, heartwarming holiday-themed lesbian rom-com? Well, it just got even gayer. Kristen Setwart has already signed on to star in “Happiest Season,” a lesbian rom-com written and directed by Clea DuVall. 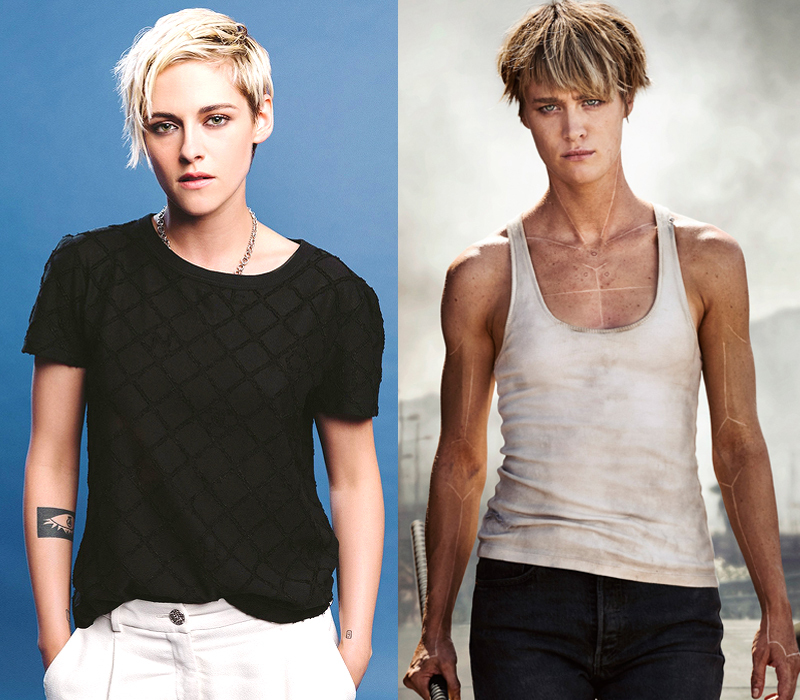 And now, Mackenzie “San Junipero” Davis is in talks to star opposite Kristen as her girlfriend. Feel free to take a moment. It’s a lot to take in. All these lesbians worlds colliding in one picture. KStew hearts Yorkie thanks to Graham. In the film a young woman’s plan to propose to her girlfriend over the holidays is complicated by her girlfriend not being out to her conservative parents. I am 100 percent here for KStew and Mackenzie engaging in familial hijinks and coming out shenanigans. Also, you know, all the smoochies. My happy heart , thank you for sharing this bit of joy. Totally into it, but... I hope the rest of the movie isn't this white. We can do better than this! I'm white! Nothing wrong with white. -- Kara.